"Is that supposed to be a selling point?" So, Turnbull survived his thirtieth Newspoll. Now he’s after Julia Gillard’s record and the media can start a whole new countdown. Yes, when Rudd called his Australia 2020 summit it seemed a long way off. However, when Turnbull made his comment about Abbott losing 30 Newspolls in a row, I’ll bet he never thought he’d see 30/30. To be fair, the Coalition haven’t lost sixty in a row; there were a few in Turnbull’s first year where people still thought he’d actually do something. “He’s waiting until after he wins the election,” people rationalised. Later it changed to, he’s waitng until Tony Abbott leaves Parliament or he’s waiting till Hell freezes over, before those who thought he’d be a breath of fresh air had to concede that even if he had complete authority all he’d do is erect statues of himself and insist that all art galleries have a section devoted to his best selfies. “You mean about Turnbull?” I asked. Note: It should be clearly stated that the above conversation is a work of fiction. like much of this government’s achievements. I have no contact with anyone from the Liberal or Labor parties and any similarity to anyone living or dead is just a really big coincidence. No, really. And I haven’t been told that the election will be called for August unless the leadership spill leads to a complete meltdown. That’s just another coincidence when it happens. Going by the polls 48% of Australians are prepared to vote for the L/NP, Malcolm Turnbull and much more of the L/NP’s callous, corrupt and criminal policies and behavior. Turnbull gave the L/NP 2 things, time and money. Firstly, Turnbull was far more palatable to the voting public then Abbott. Changing leader gave the L/NP time, an extra 4 years in government that gave them more time to implement some horrid policies, stack the judiciary,commissions, boards, departments, challenge in court outcomes that was not agreeable to the L/NP using taxpayer funds and either under fund or wipeout those bodies that were not susceptible to L/NP ideology. Secondly, Turnbull was not a drain on L/NP coffers to fight the last election. He paid handsomely to be Prime Minister which allowed other monies to be spent electioneering in other seats. Turnbull has done his job and achieved the parties objective. That is to make governing for Labor near on impossible. 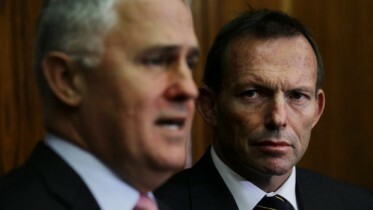 Labor will not be given enough time by the media to unravel the vipers nest created by the L/NP and the L/NP know it. The next leader of the L/NP will be similar to Abbott as the L/NP know how good a negative, divisive, lying, conniving, bombastic and corrupt opposition leader is. The results prove it as well as having a complicit and feral media helps. A federal ICAC would help Labor but will Labor have the numbers in the Senate to get that through? Well observed and placed. Labor is the party that actually develops and implements ideas and changes that move the country forward. Policies that have helped make the society a much better place for the majority of citizens and residents than it would have been otherwise. Just wonder where it would have been IF it wasn’t always dragged backwards and delayed by the right. Time is wasted, money is wasted and above all, so much of the country’s humanity is wasted as a result of the reactionary right’s maneuverings. It’s not quite like that ajogrady. Around 35% give and take solidly vote for the L-NP and abut the same number give and take solidly vote for Labor. That’s their primary vote, and it’s been about a 50/50 split that way for a long time. That’s no accident either, as our political system is rigged towards a two major party system. The rest, around 30% is made up from preferences and true swing voters. To shift the ideological core has been nigh on impossible for many decades now. Children of ideologues are indoctrinated by their parents to believe their ideology is the only one that is right. They rarely or never question why this supposed stated fact is correct. I stopped trying to debate ideologues a long time ago, just as I stopped trying to debate religious advocators. The core, especially at the idealogical extremes, is now fracturing around the edges, sometimes with people moving to even more extreme galvanisers, but also with many retreating to a middle ground. It’s that middle ground both major parties are fighting for but with Turnbull being stymied by his extreme right as they thrash about in their death throws. I’m not so sure – quite often children do develop a different political viewpoint to that of their parents’… during their rebellious years until they dovetail back into conservative voting patterns – usually when they start a family and are neck deep paying off a mortgage. Well, revolution is coming. Wasn’t the plain packaging of cigarettes also a major Labor achievement…? Gee, helvityni, apart from the plain packaging what have Labor ever done for us? Weren’t Labor in power when the GFC hit? So they must be responsible for it. Thank dog that the LibNats came in to rescue us from that disaster. This ‘invisible hand of the market’ stuff is complete nonsense. Only the gullible, the stupid and the ideologically driven believe it. The successful operation of any economy, and the prosperity of all who work within it, have always been determined by the interventions of governments, especially central governments. It is only by means of the mechanism of government deficit spending (aka surpluses in the non-government sectors) that the private sector is able to save, invest and spend, leading to overall prosperity for the nation. Federal government deficit spending injects net financial assets into the real economy. No other entity can create and introduce net financial assets into the economy in this way. Quite! The LNP only exists to disrupt, degrade and destroy anything and everything the ALP proposes and achieves. Note: It should be clearly stated that the above conversation is a work of fiction. like much of this government’s achievements. I have no contact with anyone from the Liberal or Labor parties and any similarity to anyone living or dead is just a really big coincidence. No, relally. And I haven’t been told that the election will be called for August unless the leadership spill leads to a complete meltdown. That’s just another coincidence when it happens. Not only do I believe you have placed a bug in every corner, corridor, water-closet and water-cooler of parliament house, but you have some kind of deal going which enables you to read my thoughts! Rossleigh, it sounds like you have recorded a local Young National$ Party meeting held in a corner telephone box because the active membership can only join when they are over 65 years of age. @economicreform: I agree, if PRC can achieve 6%+ per year economic growth with central government planning then why are the “western democracies” happy with a mere 2% economic growth? I am 82, support progressive policies and read the AIM Network, Crikey and the NY Times. My ‘children’, all over 50, read the Australian and are negative about ALP policies. Where did I go wrong? Rosemary, you did not go wrong with your children. Murdoch’s media sheets, and the Australian in particular, operate for the express purpose of manipulating (aka indoctrinating) the perceptions and beliefs of their readers. Most of their readership is comprised of the average person in the street, and that readership has very little real knowledge or understanding of what is happening in the world. They are ripe for the ideological kill. What a good read, Rossleigh. Very amusing way of portraying the clowns we see running around throwing buckets of confetti at the labor children. The children believe it has substance and duck. But they remember the message of the clown without any mitigation for the confetti. Maybe a miracle could change the pattern??? Wonder what bill’s interview would be? “We have no plans to do anything at this stage!” finita colloquium?? I met you and your ex nearly 50 years ago. My mum (88) loves the australian. I keep telling her its crap but my comments fall on deaf ears. Well done Rossleigh. By the way, we have just had weather (southern oz) that was so effing far from normal in mid april. Yesterday was a day you would expect in mid summer or early march at the latest. I wonder if the australian will report this anomaly and will labor get the blame for climate change and/or the rent seeking greens. I’m afraid that this crazy weather is the new normal. Coalition campaign launch a real shocker. Enter your email address to subscribe to The AIMN and receive notifications of new posts by email. Development and Wordpress management by CanberraWeb.